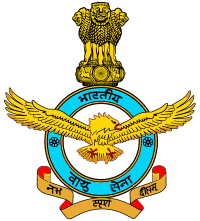 IAF House Keeping Staff (HKS) Syllabus, Model papers download PDF, IAF Clerk Hindi Typist Syllabus and question paper - Indian Air Force (IAF) has published a recruitment notification to recruit housekeeping staff and Clerk Hindi Typist. Candidates who are eligible and interested they can apply by visiting the official site of IAF before the last date. Applicants also check other details related to IAF recruitment 2017 like how to apply selection process for you previous question papers salary, Application form, syllabus in Hindi and more details are given below. Educational Eligibility: 10th/ 12th Class or its equivalent from recognized Board and typing knowledge. Candidates who are going to start preparation they need to check old question papers, syllabus in Hindi, question paper pattern, study material, books to get a high score on the written exam. Here i am sharing syllabus & question paper pattern 2017. After passing the written test the candidates will be shortlisted of 1/10 for skill / practical/physical test wherever applicable.